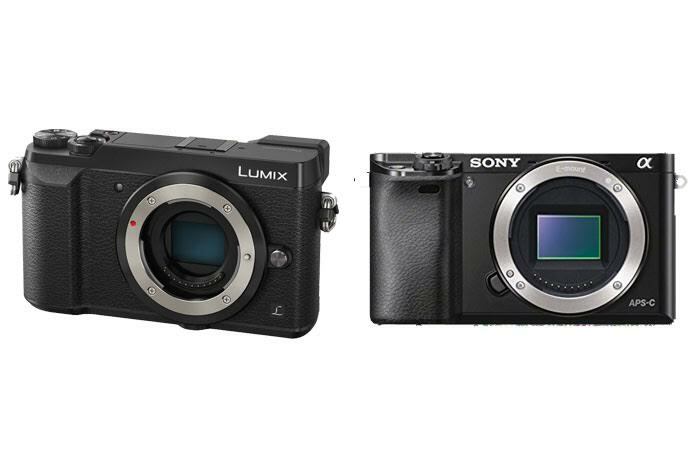 Both Panasonic Lumix GX85 and Sony a6000 are mirrorless digital cameras available in a similar price range. These are mirrorless digital camera models suitable for those who want to step up from an entry-level model to the more advanced one. Make no mistake; these cameras are also loved by professionals due to the excellent specs and features. So, between Panasonic Lumix GX85 and Sonya6000, which one should you choose? Panasonic Lumix GX85 is a little bit bulkier and heavier than Sony a6000, but, in general, both models can be handled conveniently. They have textured surface, ensuring for a proper grip so that the camera will not accidentally slip off. However, Panasonic Lumix GX85 comes with a touchscreen control while Sony a6000 offers dial controls. Depending on your personal preference, you may prefer one over the other here. Touchscreen control can be more intuitive, but dial controls provide unmatched ease and practicality in accessing the functions and features. One crucial difference between the two models is that Panasonic Lumix GX85 comes with a 16MP micro four thirds Live MOS sensor while Sony a6000 features a 24MP APS-C CMOS sensor. In general, Sony a6000 is able to produce larger, sharper, and more detailed images than Panasonic Lumix GX85. Also, the wider sensor pixel area allows Sony a6000 to deliver better color depth and dynamic range than Panasonic Lumix GX85. In general, Sony a6000 has better image quality than Panasonic Lumix GX85. However, you may want to know that Panasonic Lumix GX85 has a sensor-shift image stabilization, while Sony a6000 lacks any image stabilization. Sony a6000 comes with a very powerful autofocus system. The autofocus system features 179 focal plane phase-detection points and 25 contrast detection points. It detects and tracks movements very well. Also, the 11fps photo burst allows Sony a6000 to capture fast moving objects with absolute ease and precision. However, Panasonic Lumix GX85 has its own virtues. It supports 4K Ultra HD video recording. It also has 4K Photo Mode, in which you can extract 8MP photos from a 4K video. There is also Post Focus Mode, in which you can change the focus point after taking each shot. - New 5-axis in-body sensor stabilizer works with LUMIX 2-axis optically stabilized lenses in video and still capture modes using class-leading Dual Image Stabilization. - Eliminates the need for low-pass sensor filters while boosting fine detail resolving power by nearly 10% over existing 16-Megapixel MFT sensors. - Shoot lighter and faster with the modern hybrid photography performance of a Mirrorless camera and nearly half the bulk of most DSLRs. - Thumbwheel controls, integrated viewfinder and touch control enabled tilting LCD maximize control of the photographic experience. - Capture spontaneous moments with 4K imaging performance in both 4K video and exclusive 4K PHOTO and Post Focus. In general, Sony a6000 makes the best way to go. The performance and image quality are better. Panasonic Lumix GX85 is viable only if you absolutely need the 4K video recording capability, and perhaps the image stabilization.